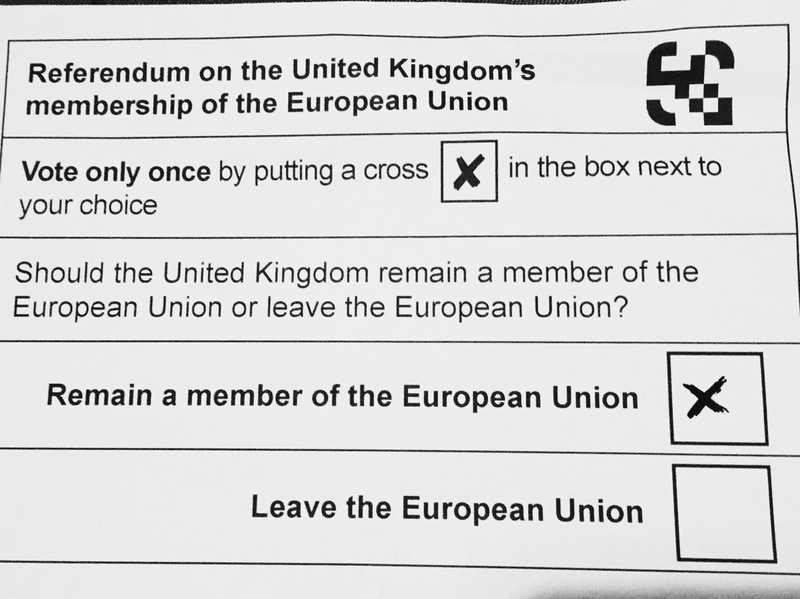 I’ll be voting for the UK to remain part of the European in the imminent referendum. It’s no secret that I am a staunch advocate for Scottish independence, and despite being entirely separate issues, the two are often conflated – and it isn’t immediately clear how to the two positions can be naturally compatible. This is something that few people have addressed directly, so I’m going to do so – explaining my reasons for voting ‘Remain’, with additional reference to my pro Scottish independence stance. The arguments made will relate only to the current British constitutional setup. In other words, they apply to the question at hand: whether the UK should vote to Remain in the EU. If the question was solely about the membership of an independent Scotland, then things may be different. Maybe not, but that’s not something that I’m going to address in any detail. This is about the UK’s membership of the European Union, and has nothing to do (at least directly) with the European Convention on Human Rights, Strasbourg, or the Human Rights Act. ‘British Empire Map’ by ‘Geordie Bosanko’. As the Leave campaign have stated, this whole debate is really about sovereignty. In other words, who holds the final say over what laws are enacted in the UK. Sadly, this is one of the most complicated parts of the issue, and also one of the most grossly over-simplified. Those championing the Leave cause feel that increasingly the UK is subject to a barrage of new laws from Brussels which require the UK to either adopt legislation that we do not want, or prevent us from enacting the laws that we do want – and that we have to end our membership of the European Union to prevent this. One of the key concepts underpinning much of the discussion around this issue is Dicey’s Doctrine of Parliamentary Sovereignty. Fundamentally, this is the political theory that nothing can bind the British Parliament, including Parliament itself. Practically, this is why a Labour government is not able to create laws that a later Tory government couldn’t overturn. On the face of it, this seems like an eminently sensible thing. Parliament is a manifestation of the expressed will of the British people, and given that, they should be the only ones who hold the ultimate decision making power. This is tough to argue with in the abstract (and the academic in me resonates with such a clear principle), but it is clearly not the full story. Much in the same way that social contract theories are fascinating on their own, but have scant relation to the real world, parliamentary sovereignty does not exist in a vacuum, devoid of all other practical realities. The romantic notion of British sovereignty relies on a myopic view of the UK as the only, or most important nation in the world – one that would have made a lot more sense in the 17th Century when Dicey was kicking about than it does now. Just as we have complete control as individuals over our actions, we do not exist in isolation, with an unfettered ability to do whatever we want, whenever we want – at least not without consequences. We retain our personal sovereignty whilst also making decisions based on influence as pressure from a variety of outside actors such as friends, family, our communities, and the law. Currently, the British Parliament is perfectly able to comply with parts of European law that it doesn’t like, but there would of course be consequences for doing so. It may not fit Dicey’s idea of Parliamentary Sovereignty, but it doesn’t mean that British sovereignty itself is impinged. Instead, it is simply part of the reality of living in a world where you are not the only one in existence. What those talking about British sovereignty are really arguing for is the ability to remove themselves from consequences – and that’s a completely different thing entirely. One final point to consider is that even if we do leave the EU, our other ties to the union mean that it would be impossible to avoid their influence entirely. Even if we succeed in clawing back our hallowed core of British Parliamentary sovereignty, we will be bound by other trade obligations necessary to ensure the stability of our economy. One only needs to look at Norway to see this in practice: forced for practical reasons to accept many of the European regulations, whilst having no power to influence them. To me, this all feels akin to a stroppy teenager moving out of their parent’s house to escape rules that they perceive as unfair, only to discover that they still can’t play their music at 2am. They may finally have their sovereignty in theory, but remain unable to exercise it in the manner they want to. How does that work with Scottish independence? Unsurprisingly enough, as a supporter of Scottish independence, I don’t have much sympathy for arguments that are based on a notion of British sovereignty. The concept itself seems completely alien, and I don’t believe that the British Parliament is a genuine expression of the British people in Westminster; only an expression of the majority of England. For this reason, it should be immediately clear why Yes voters would struggle to get onboard with an argument rooted in that premise. Additionally, when we look at the debate through the lens of sovereignty, it helps explain why the question of Scottish independence is completely separate from EU membership. Whilst the European Union is a political union of sovereign nation states, there is no sovereignty for Scotland as part of the United Kingdom. The primary driving force for the formation of the European Union was to prevent the possibility of another Nazi Germany ever taking place again on the continent, by binding the constituent countries closer together. One of the main reasons I support the UK continuing membership of the EU is to ensure that people are protected from the excesses of any single government. This is something that applies equally to our own, and to those of other Member States. I fundamentally disagree with the premise that national governments should hold absolute power over their citizens, and the only solution to that is to be part of a supra-national community that holds its members to account on the basis of shared values – without stripping them of their ultimate sovereignty. In situations where extreme governments come to power, the EU acts as a great balancing force, pulling all members towards the political centre. This is not a perfect solution, but acts as an effective buffer against the historical fluctuations of the domestic politics of individual countries – whilst also leaving enough room for voters to take different ideological positions. From the perspective of a supporter of Scottish independence, I already feel as if we are subject to the undesirable ideological position of a Westminster government that we (definitively) did not vote for. This situation doesn’t appear likely to change anytime soon, and so the EU is one of the few things that helps curtail the worst excesses of that. Should it be the case that Scotland was a sovereign nation in its own right, I would still hold the position that we would need to be a member of a supra-national political union that would prevent against the excesses of our own government – and to help ensure that the citizens of other Member States were equally protected. An important pillar of the EU is what is known as the the free movement of persons, but which is actually the free movement of workers. The distinction is important, as contrary to popular belief you cannot immediately go to another European country and start getting benefits. In other words, you can go and stay in Italy if you want, but you need to be pursuing an economic activity, not just living off the Italian welfare system whilst lying on a beach drinking Aperol Spritz. After the attacks in Brussels, some took them as a reason to attack this core concept of EU membership. This was on the basis that the lack of internal borders between European countries allowed the attackers to enter into Belgium undetected, from weak external border checkpoints in places like Greece. This is undeniably a huge issue to tackle, but it should have no bearing on the debate over British membership of the European Union. 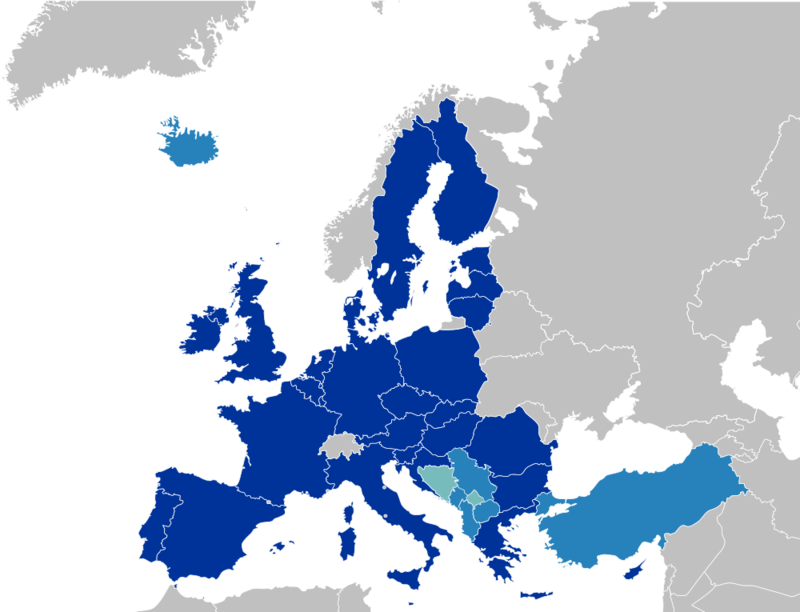 Whilst the rights enjoyed by European citizens apply to those in all Member States, the single external border is separate. 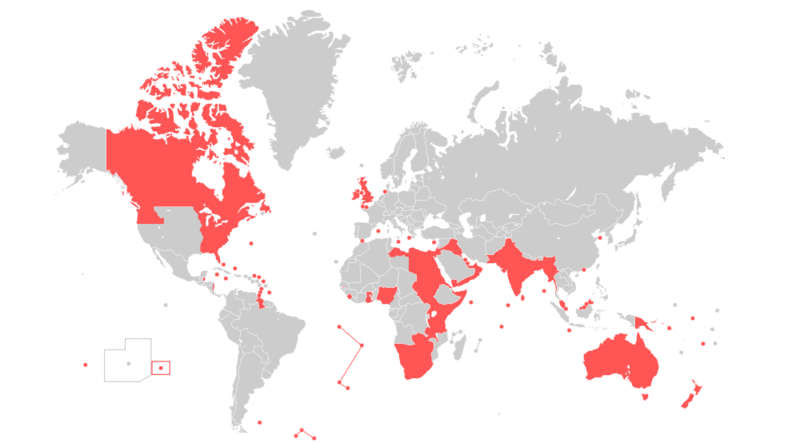 Known as the ‘Schengen Area’, neither the UK or Ireland are signatories to the agreement. This has led some people to state that if we leave the EU, nothing will change in terms of how we travel to countries within the EU, which simply isn’t true. Whilst it is correct that there’s unlikely to be much disruption to people going on their holidays, there are a host of rights that we enjoy as European citizens that have nothing to do with Schengen – including the right to live and work in another EU country. Rights that will be lost if we leave. This particular point is one that genuinely perplexes me, as it isn’t just about those who have chosen to make the UK their home; it’s about the millions of British people who have exercised their Treaty rights to live abroad – including many of my own friends and family. There hasn’t been even the scantest of attempt to answer questions about what will happen to them in the event of a ‘Leave’ vote, and I think it’s a detestable way to treat people: leaving their futures hanging in limbo on the basis of a Tory party argument over British sovereignty. If anybody wants to explain how both the UK and remaining EU Member States would deal with such a huge issue – both legally and practically – please do speak up. So far the response has been nothing but a deafening silence. To be blunt, I do not believe that immigration is a genuine problem – at least not with regards to immigration from the European Union. I believe that British emigrants enrich the cultures they move to, just as immigrants to the UK greatly enrich our own culture. We are not ‘running out of room’, or being ‘over-run’, and it is hugely ironic to hear those on welfare complaining about how ‘we will have to pay for all these fuckers coming over’. Oh, will ye, aye? To finish, here’s a specific example of why I don’t trust the government on this issue. The Tories routinely wheel out rhetoric about how British people should come first, and that EU citizens shouldn’t have the same rights that we enjoy when they come to the UK, but this is diametrically opposed to the laws which they themselves have brought in. The simple fact is, that as a British citizen married to a non-EU partner, I have less rights than a European citizen with a non-EU partner moving to the UK. I’ve written about this in the past, but the sheer bare faced hypocrisy of Westminster on this means that I will never believe any of their hollow proclamations about protecting British interests when it comes to the freedom of movement of persons. They are the ones who have systematically eroded them, and only the EU allows some protection. The mark of a government that truly believes its citizens should come first isn’t one that gives them less rights than the people they don’t want in the country. My wife and I have been treated with such contempt by the British government simply in our attempts to be together, and the law is so deliberately contradictory and unclear that it has only reinforced my desire for Scottish independence. The lack of concern for our right to family life, and the implementation of some of the harshest possible requirements on me as a British citizen to be with my wife simply solidify my desire to be disassociated from that status. As far as I am concerned, Scottish independence is the only way to escape the hypocritical immigration laws imposed by the Westminster government that are biased towards their own citizens, and that are only buffered by European freedom of movement. ‘Dijon Drink‘ by Sonja Stark. One of the arguments from the Leave campaign is that due to the importance of the UK market, EU Member States would never stop trading with the UK, irrespective of our own membership status. As one UKIP MP stated: ‘The French aren’t going to stop us buying their wine.’. Of course, they are correct on that point, but what many fail to either understand, or choose to ignore, is that whilst we will still be able to trade with the European Union, we will do so at a huge automatic disadvantage due to the nature of EU law. As well as the free movement of workers, another pillar of the European Union is the free movement of goods. What this means in practice is that (generally) anything made or sold in one Member State has to be accepted without discrimination. 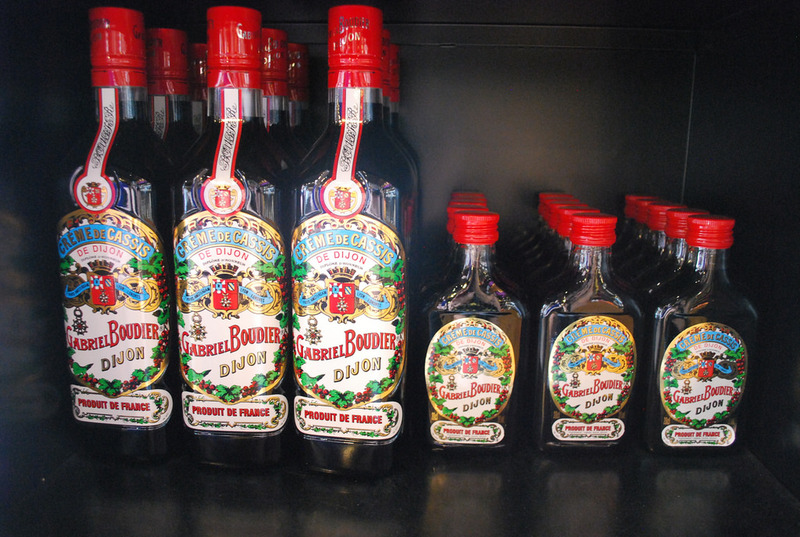 In other words, Germany can’t stop blackcurrant liquers from being imported from France for not being alcoholic enough (yep, really). To bring it home a little, EU law prevents any other Member State from adding additional taxes, fees, regulations, or any other restrictions on British products when they are brought into the country. Leaving the EU would mean that those protections would no longer apply, and British manufacturers – from the biggest to the smallest – would find themselves priced out of many important markets. It appears that the hope is that in the event of leaving the EU, the UK would then negotiate a trade deal which would give us the same sort of protections that we currently receive. This is based on the naive view that Britain is such a vastly important market that other countries couldn’t possibly give up the chance to do business with us. The reality is that many Member States of the EU already view the UK (rightly, for many reasons) as having an inflated sense of entitlement. It is simply not plausible that we will be handed all sorts of benefits without the obligations and responsibilities of membership – not to mention unjust. There isn’t much in this section that is all that directly relevant to the independence discussion. One thing that I do find curious though is the number of people who voted ‘No’ to Scottish independence on the basis that there was no sound economic plan presented, that are suddenly perfectly happy to leave the European Union when the economic justification is equally – if not more uncertain. A lack of certainty in of itself isn’t really an issue for me, as there will always be unknowns during times of political change, but to use that as a justification in one debate and then have no trouble with it in another suggests that it was never really the real problem in the first place. There we have it. I’m no EU apologist. From the abject failure to help the Greek people in their time of need, to the introduction of ludicrous laws such as those dealing with website cookies, there is much to be desired from the union in future. That said, there are also many positives. You might not agree with my own personal reasons for staying in, but hopefully at least consider them. The polarised, disingenuous, and often xenophobic nature of the debate has been deeply troubling, and I desperately hope that whatever way the referendum goes, that rhetoric doesn’t point towards what the future of the UK, and wider continent is going to look like. At the end of the day, intellectually and academically I could come down on either side of the fence – far more than I ever could on the issue of Scottish independence anyway. The reasons that people will choose to either vote or remain will both be ideological, and deeply personal. These are my reasons for staying.